Central to all Club activity is the Clubhouse, where formal and informal dining rooms and multiple outside terraces provide a full range of dining experiences. 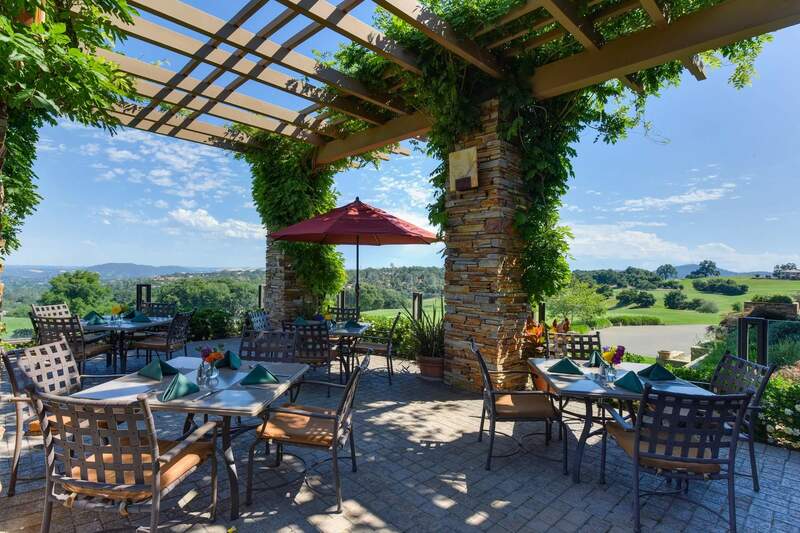 Tables in the dining rooms and terraces overlook panoramic views of the golf course, Folsom Lake, the Sierra Nevada Mountains, and breathtaking sunsets. Enjoy and experience the Lakeview Room, Grille at Serrano or one of several terraces, which include warm, inviting fireplaces. The family style Sunday Night Buffets, Prime Rib Thursday, Vintner Dinners, Wine Flight Saturdays, Breakfast, Lunch and regular evening dining are all enjoyed by the members of Serrano Country Club. At Serrano, we keep in tune to our members’ tastes and preferences and update the Grille and dinner menus periodically. then the Club will be closed the following Tuesday.